Elsa has recently released a CD "Time Wears Awa'"to celebrate some of the songs, the people & the places that have been significant in shaping and enriching her involvement with traditional song over the past 40 years and more. Each song represented here carries a host of memories of those heart-warming occasions when song has united us all. This CD is dedicated to the memory of her husband Charlie,and also her father, David Stevens, both of whom were unfailing in their interest, support and encouragement. 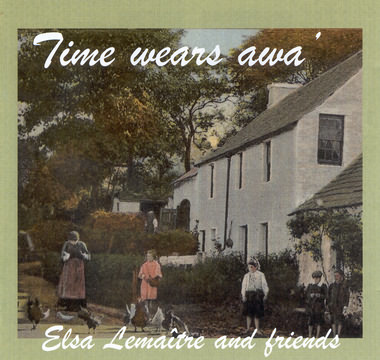 Time Wears Awa' - New CD from Elsa Lemaitre recorded at Big Sky Studios in the Scottish Borders. & Jimmy Nagle for their vocal & instrumental contributions - you all made it possible. 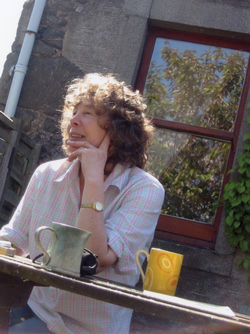 To Annie Broadley, my neighbour to the west, for a power of work in putting the CD Booklet together. - well, maybe it was nearly ending!